Summer blockbuster “Crazy Rich Asians” is set in Singapore, which is known worldwide for its extravagance and wealth. I recently visited the Gardens By The Bay to see what it was like and found myself marveling at the beautiful park. Singapore is known worldwide for its extravagance and wealth, and it’s the setting of “Crazy Rich Asians,” the summer blockbuster everyone’s talking about based on the bestselling novel by Kevin Kwan. 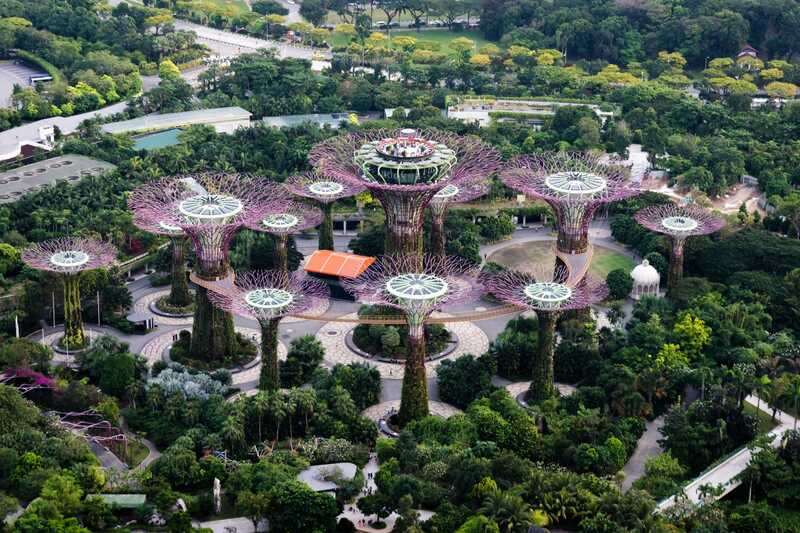 The wedding at the heart of “Crazy Rich Asians” takes place at one of Singapore’s most iconic sites: the $700 million futuristic botanic garden known as The Gardens By The Bay. But to call Gardens By The Bay simply a park or a garden is a massive understatement. The site is an architectural, technological, and natural marvel, consisting of 1.5 million plants of over 5,000 species, the world’s largest glass greenhouse, and a grove of 160-foot tall ‘supertrees’ that look like they popped out of a science-fiction movie. 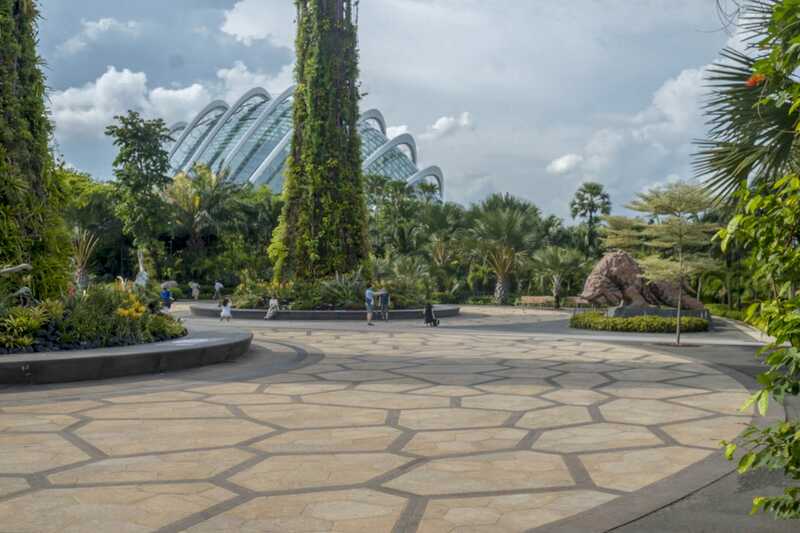 The idea for the Gardens By The Bay was conceived by Dr. Kiat W. Tan, a botanist and now CEO of the park. 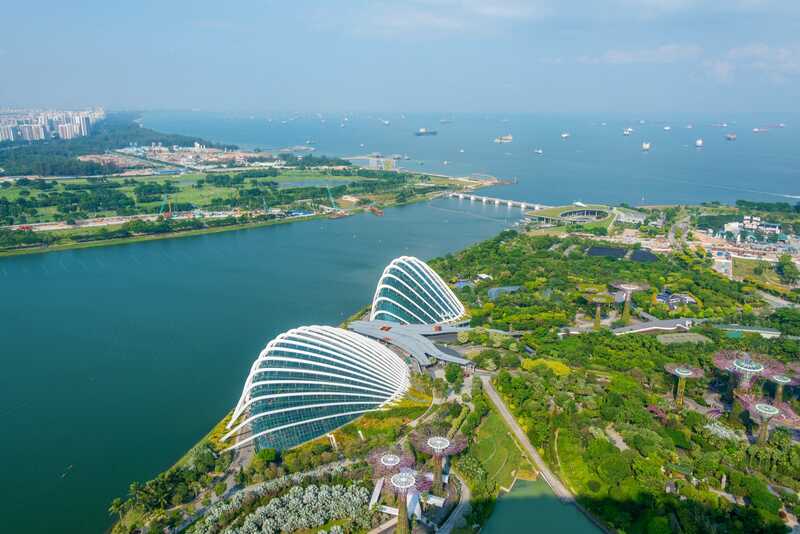 He wanted to turn reclaimed land on Singapore’s Marina Bay into one of the world’s best gardens. You can get a good view of the Gardens’ two seashell-shaped biodomes from the Marina Bay Sands, the landmark hotel that overlooks the park. 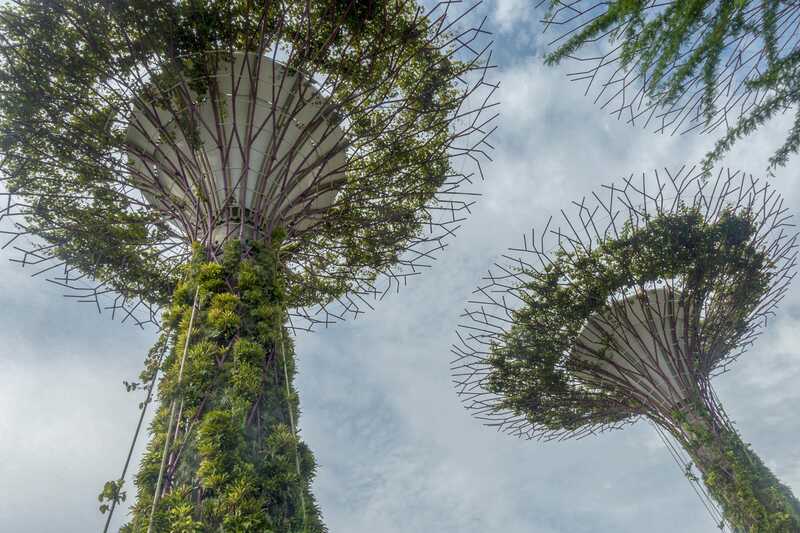 But most people know about the Gardens By The Bay because of the Supertree Grove, 12 tree-like structures that act as vertical gardens and range from 82 feet tall to 160 feet tall. When you enter the Gardens By The Bay, you can see some of the smaller Supertrees at the entrance, as well as the biodomes. There are six scattered outside of the main grove.